Our Payroll Experts in Utah will help your business thrive without being held back by HR details. Looking for payroll experts in Utah? 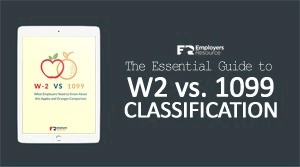 Employers Resource is a national PEO with 8 branches conveniently located across the USA. We have been helping business owners and employers worry less about payroll processing, compliance, and other HR related details. Our goal is to simply out-serve any other PEO you may encounter in your search for a payroll expert in Utah or anywhere else a business owner may be searching. Feel confident, worry less, and have more time knowing that your payroll and taxes are being processed by our payroll experts. Utah clients are served from our nearby Boise, ID branch. We are a licensed PEO in Utah and we have already had experience with serving clients in Utah. You will never reach a call center when you work with us. You will have a friendly client service coordinator who knows you and your business by name you can reach out to whenever you need anything. Don’t be fooled into using a one-size-fits all solution that is mostly automated and online just because of a less expensive monthly rate. In the long-run you will spend more time trying to fight with this solution that is not designed for your business. Our solutions are custom fit to our clients and we provide much more than simple payroll processing. We offer payroll experts but also a complete HR partner solution that will bolster your Utah based business above your competitors. We are the one partner vendor you need for a complete HR solution. Simplify your business today. Try Our Payroll and HR Outsourcing Solution Risk Free for 90 Days with 100% money back guarantee.